It was a series of twists and turns. Begun in spring, the project consisted of challenges from beginning to end. I was informed of two things at once: that the production I’d submitted had not been selected for the K-musical Road Show, and that I would be overseeing the selected productions as director. Until opening day, I joked that I was out selling and promoting other people’s works because my own hadn’t been chosen, but in fact I was more excited and eager than anyone else about the show’s success. Unlike the typically rosy expectations people have of the giant consumer market that is China, my perspective has been more negative on account of various obstacles unique to that specific landscape. In the mid-2000s, beginning with the Beijing Olympics, the performing arts sector sought to make inroads into China through numerous programs of exchange and cooperation. CJ E&M, in particular, leveraging its corporate strengths, has made continued efforts to build a presence in the Chinese market, but it has yet to see clear gains. A decade has passed in this fashion, and China continues to transform at a rapid pace. Advancing into China involves tasks that are much more complex and challenging than meets the eye. 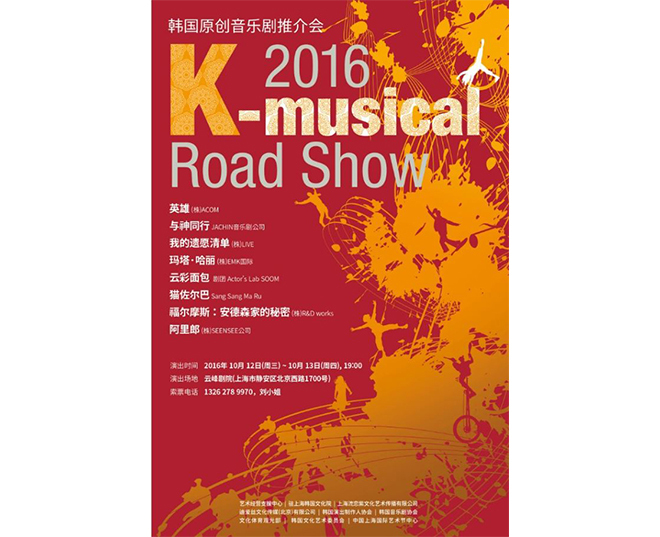 Through the 2016 K-musical Road Show, these have become clearer than before. 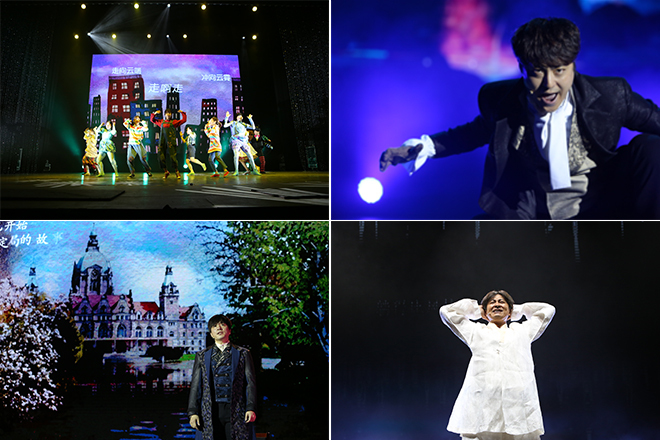 This year, eight productions were selected for the K-musical Road Show and pitched to performing arts organizers and producers in China. The initial arrangement was to have twenty-five-minute performances based on Hero, My Bucket List, Cloud Bread, and Sherlock Holmes and fifteen-minute presentations on With God, Mata Hari, Cat Zorba, and Arirang. My first suggestion as program director was that each team perform at least one song at the end of its presentation, because it’s difficult to understand what a production is about without seeing it in person. The preparations were somewhat complicated, but overall, the results were satisfactory. The performances, though short, left an impression, and the audience responded positively. The presentation for Cat Zorba, which had gone through numerous revisions, attracted exceptional interest from the Chinese producers. The original presentation had focused on convergence, but was reworked to highlight the strengths of having a structure of diverse profit channels, which we believed would be more appealing to Chinese producers. The showcase thus generated a keen interest in Cat Zorba that hadn’t been there before. On the first night, the first performance after the opening ceremony was Hero. It lasted a mere twenty-five minutes, but the audience responded with tremendous enthusiasm. The scene mid-performance in which the Korean flag is waved was especially moving to me as a Korean. The rest of the first night’s program went smoothly as well. With God was performed after an introduction in fluent Chinese, and some of the dialogue was delivered in Chinese as well. My Bucket List made use of live broadcasting to re-create the feel of a concert. The presentation on the large-scale musical and global project Mata Hari utilized the production’s striking visuals and video footage, and actress Kim So-hyang gave a passionate performance. On the second day, Cloud Bread, a production that has been turned into four versions of different format and scale, received a brief introduction via video, followed by a twenty-minute performance combining the English musical version and the children’s song version of the show. Next, there was a presentation on Cat Zorba and performances of two scenes from the work. The unique elements of Sherlock Holmes, now a series in its third season, were introduced as well. Last, there was a dynamic presentation on Arirang by director Ko Sun-woong, followed by a ten-minute introduction video and a masterful, moving performance by actor Seo Bum-suk. At the end, Kim Sunyoung of DS Company, who planned the Chinese productions for this program, was visibly moved. This being the first K-musical Road Show, the preparations were inevitably demanding. Our worries were compounded by the recent cooling of Korea-China relations: Numerous performances and events in China had been canceled, or had failed to receive approval, and the media had raised doubts as to the prospects for the K-musical Road Show. Such difficulties notwithstanding, the show went on as planned. Changes were made to the venue, as well as to the schedule, but we were able to go ahead mainly because of the determination of the Korea Arts Management Service. The way I’m recounting it, some might conclude that this event was all problems and setbacks, but I hope it’s clear that responses were overwhelmingly positive. Everyone involved in organizing the K-musical Road Show, me included, felt no small measure of elation to receive such a warm reception. Since returning to Korea, though, I find that my mind is already swarming with ideas as I consider how we might better prepare for next year’s show if the opportunity arises. I’ve heard a great deal from other producers about the rapid growth of China’s performing arts market and its various demands. I’ve been well acquainted with the experiences of a few producers who have staked their careers and livelihoods seeking to make their mark in the Chinese market. I personally knew little about the scale of this market, though, and what was actually being accomplished. My understanding was limited to knowing that CJ E&M had been involved in staging Mamma Mia, or that the musical Finding Kim Jong-wook had been produced with Chinese actors, or that recently the musical Laundry had been canceled soon after opening due to issues surrounding the deployment of the Terminal High Altitude Area Defense system. I was also aware of high demand in China for shows for children, thanks to local parents’ educational fervor, and joint efforts with Korean producers to create these kinds of productions. But it was only when I met Chinese producers myself that I really appreciated the extent of the local sector’s interest in Korean performing arts. After all, over eight hundred organizers and producers came to watch our production on each day of its two-day run. Our primary accomplishment there was providing Chinese organizers with an opportunity to see and hear the excellence of Korean musicals for themselves. The setting wasn’t perfect, so there were elements that weren’t entirely satisfactory, but it was a clear demonstration of the skill and talent of Korean musical actors, staff members, and producers. The Chinese producer who is working to bring the musical Wicked to local stages next year was surprised to hear that the same production had attracted over 250,000 people during its four-month run in Korea, and expressed a desire to learn from the abundant experience and know-how of the Korean musical sector. The event lasted only a short two days, and once it was over I was thinking about a lot of things. For one, if in the past we approached the Chinese market with only a vague idea of what it would entail, in the future it will be necessary to better understand its needs and prepare more meticulously, going beyond the tour-and-licensing platform we utilized this year. The Chinese are interested not only in our productions but also our infrastructure and production know-how, and we will have to be prepared to satisfy that demand. We will have to explore options like joint production, which makes use of our producing and directing know-how, and also work toward a system in which creative and technical staff members are fairly compensated, whether through royalties or other means. The Chinese sector has shown a particular admiration for our actors. Korean musical actors have performed in places like the United Kingdom and Japan, overcoming barriers of language; they will need to seek ways to do the same in China. It is also important to prepare for the prospects of Chinese investment in our production companies and to ensure this takes place in safe and beneficial ways. China is vast. 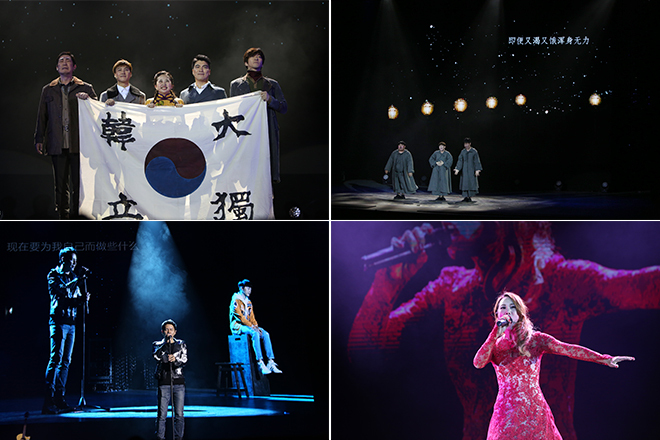 This year’s K-musical Road Show was the first stone on the path to breaking out of the Korean market, which is nearing oversaturation, into a bigger market. As they say, getting started is half the battle. With the right strategies and tactics, we will most definitely be able to build a solid presence in the Chinese market. Former Planning Manager, Yegam, Inc.